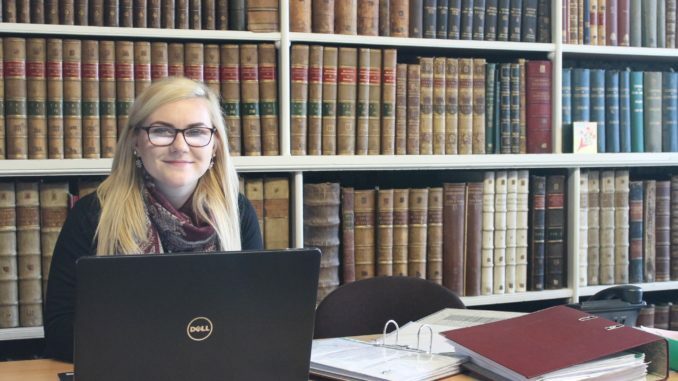 We are delighted to welcome our new Visitor Engagement Officer – Rachel Toner. Eagle eyed supporters of the Library will recognise the person and the name, because we have had the pleasure of Rachel working with us on short term contracts before. Thanks to funding from the Heritage Lottery Fund Resilience Grant, we have been able to employ Rachel for a year on the basis of 10 hours per week. Rachel’s role will include adding to the visitor experience, promoting us within the Playful Museums initiative, working towards becoming a Dementia Friendly Museum and developing inter-generational activities. A busy year ahead!